Guerrilla talks about using guns for Horizon’s combat. 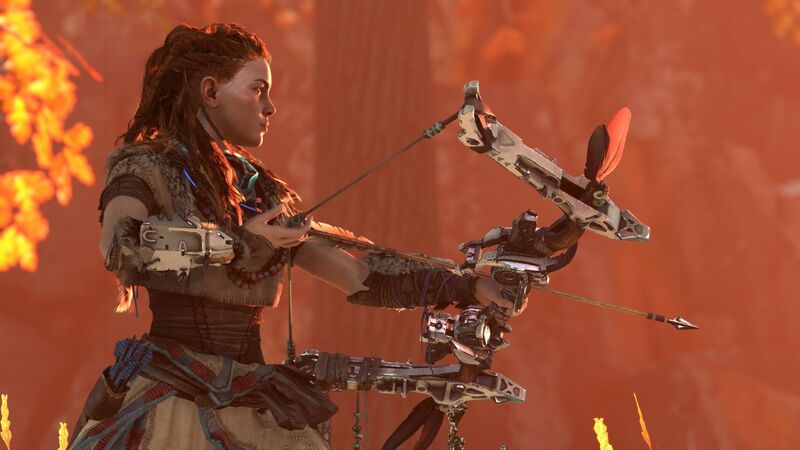 With Guerrilla Games so well-versed in shooting mechanics, thanks to its work on Killzone, it is interesting to see how it handled combat in Horizon: Zero Dawn. What would the latter have been like with guns though? In a new interview from PlayStation, Uncharted 4: A Thief’s End director Neil Druckmann spoke to Guerrilla Games managing director Hermen Hulst about Horizon: Zero Dawn. Hulst noted how the studio experimented with guns in the first prototype for the game. “The very first prototype we did had Killzone M82 guns in it and you were firing your machine gun at these robotic dinosaurs.” It got “weird” pretty quickly so Guerrilla went with the combat we see today. Will that happen with The Last of Us: Part 2, Druckmann’s next project as director? We’ll find out in the near future.